Do you want to get your novel published? If you’re like every author I’ve ever met then the answer to that question is… yes. If it’s yes for you too, then you’re going to have to learn how to network in order to break in and see your book on the shelves. But Why do I Have to Know How to Network? Book publishing runs on connections and networking, from end to end. It’s a relationship business. What is a literary agent except someone who knows the right people? 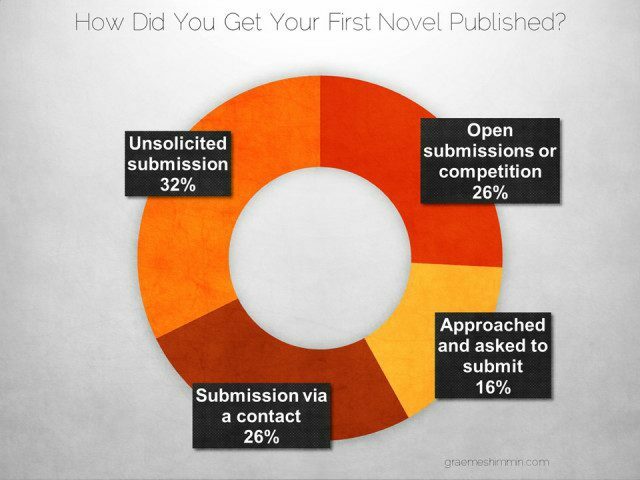 We can see that only a third of authors got published through the classic route of unsolicited submissions. Considering that the survey has a ‘survivor bias’ – it was only answered by published authors so inevitably excludes everyone who failed to get published – that’s a low percentage. It also means that two-thirds of published authors didn’t get published by the classic route. What then did they do? It comes down to two things: profile and contacts. How do you get profile and contacts? By networking. Paradoxically, the real trick to networking is to realise that it’s not all about you. Almost everyone who can help you is going to do so only out of goodwill and the kindness of their hearts. You aren’t their boss and you have no power over them. You have to give them a reason to want to help you. To build a network of people who might be able to help you get published, or be more successful if you’ve already been published, you must have something to offer them – Quid pro Quo, as they say. So, if you want a network, you need to think not about what they can do for you but about what you can do for them. Some of these tips might look a bit simple, but I think face-to-face networking is one of those things that isn’t theoretically difficult, just hard in practice. That’s especially true because a lot of writers, myself included, are introverts, so face-to-face networking is not the most natural thing in the world for us. Make eye contact and smile. Then just say, ‘Hello’. Ask people about themselves and what they do. Really listen. Stay focused. For god’s sake, don’t look over their shoulder for someone more interesting. I do think face-to-face networking is more difficult for male authors. Most of the people in the publishing business are women and approaching them can feel an awful lot like you’re trying to chat them up. I think all you can do is park all that stuff outside – you’re there for business reasons, not looking for a date. Be friendly, but don’t flirt. Know your elevator pitch, but don’t deliver it blindly – check if it’s relevant. If the person you’re talking to doesn’t seem interested at any point then leave it. Just talk about other stuff instead. Circulate. This is a difficult skill to master, but vital, otherwise you will end up stuck in a corner with the same person all night. Try to remember everyone is there to meet people. They’re mostly just as uncomfortable as you are and probably just as keen to have someone to talk to. Get to the event early. It’s less intimidating, people are more open to chatting at the start and the organisers may even introduce you to some people. Nothing is going to kill your chances of meeting people more than you spending the whole time looking at your phone. You can carefully design fancy, full colour cards, with logos and photos of you or your book, but all you really need is your name and contact details. In fact I’ve found that bigger name people tend to have plain business cards. The advice I give to all writers who contact me is: the absolute best thing you can do for your writing is to join a writing group. Partly that’s because you can then network with a group of other writers. Whatever stage you’re at in your writing career, other writers can help you. Most towns have a writing group, and cities normally have several. I’m part of a writing group called Manchester Speculative Fiction myself. If you can’t find a group near you on Google, try asking at the local library. Obviously, the author will be there. So will many other authors – because they’re friends. The author’s editor, publisher and agent will probably be there too. Bonus: there’s usually free alcohol. Similar crowd to book launches. Especially good if they have ‘open mic’ slots. Again, a similar crowd to book launches. You can usually get tickets easily enough. If you volunteer to help, you’ll meet a load of people. Although face to face networking is vitally important, and probably the most effective, nowadays we have a world spanning electronic matrix which enables us to network with anyone we want. You’ve probably heard of it – it’s called the internet. So how can we use this ‘internet’ to network? These days the first thing people do is google you. You should have at least a simple website, what’s known as a ‘calling card’ website, so that something about you comes up on any google search and people can contact you online. 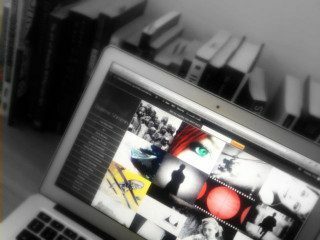 The more professional you can make your website look the better, so I don’t recommend free ‘blogging’ sites. There are lots of cheap website hosting companies that will host a more professional-looking site. Once you have a website, you can do book reviews and interview other authors, then put the articles on your website. Start small with local authors, and even other aspiring authors – world-famous authors will not agree to be interviewed, but smaller-name ones will. For an example of the kind of things you can do fairly easily, see Sarah Jasmon’s website. The thing with social media is to be genuine. I’m sure we all know someone on social media who does nothing but post, “Buy my book! Buy my book! Buy my book!” It gets tiring fast, doesn’t it? Don’t do that – it puts you down there with the lowest of the low: the spammers. Instead, just be friendly and help people. This comes back to the prime directive of networking – realising that it’s not all about you. Remember as well that you can’t be too pushy online, because people get uncomfortable if you’re all over them. I know a few people who are very charismatic in person and used to rapidly charming people into doing what they want, face-to-face. They get confused when their usual tactics don’t work online. The other thing to remember is that social media is not everything. It’s easy to get lots of likes, shares, upvotes and other validation. That can become seductive and start to feel like an end in itself, but it isn’t. 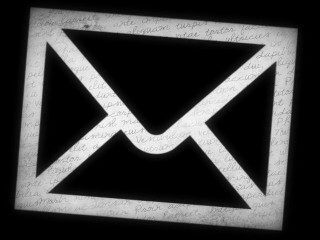 Almost all everyone in publishing these days has a website, so it’s easy to email them. What’s maybe not so easy is getting a response. I’ve written a book and it’s really good. Please can you publish it – it’d mean a lot to me! It’s not even addressed to me – the author is clearly just spamming. I’m not a publisher, so even if I wanted to help, I couldn’t. The letter gives me no reason to think the author is someone I should take seriously. It’s all me, me, me. All they care about is what I can do for them. But why should I? Imagine you got that email from someone. What would you do with it? My name is [Mr/Ms. Aspiring Author]. I’ve followed you for a while now and I wanted to thank you for the articles on your website and let you know that I read A Kill in the Morning recently and got so engrossed in that I missed my station stop! I’ve left a short review on Amazon and a longer appreciation on my website [link to website]. I’m also a writer and I’ve had several short stories published already such as [link to a published story] but I’ve still not managed to get any of my novels published, so I wonder if I can ask you for some advice? I’ve attached my logline, a one-page synopsis and the opening page of my novel. [two page document attached] and I wonder if you could give me your honest thoughts on how I can improve them? Any notes you give me would be gratefully received. Why does this one work? It asks me for something that I can actually deliver. It tells me enough about the author to see that they’re serious. They’ve done something for me, so I feel well-disposed to help them. Imagine you got that email. Would you reply? Well, look, if you try emailing J.K. Rowling, James Patterson and Stephen King it’s unlikely to get you very far. You and I just don’t have anything to offer world-famous authors and they’re swamped with fan-mail and begging letters anyway. You’re going to have to start a lot smaller than that. Okay here’s a crazy idea. Start with me. I’m an author. I’m not a big name by any stretch, but I can probably give you a bit of advice and I do know a few people. So, email me. There you go, it’s a start. Once you have a fledgling network, the time is going to come when you have to use it. My first tip is, don’t be one of these people who only gets in touch when they need something. Those people get a bad reputation very quickly. Be friendly for its own sake, not just to get things from people. The second tip comes back to the fundamental trick I mentioned earlier – make sure you’ve done things for them – even if it was just turning up at their book launch and drinking their free wine. In my experience, people are generally happy to try to help you if it’s not too much trouble to them. And many people are happy to pass on tips and what they’ve learnt. So, the main thing people can offer you is advice. Don’t expect too much, and if you want them to do something more make it as easy as possible for them. Finally, be patient. I know it’s difficult if, for example, someone has said they’ll look at your work and then a month later you’ve heard nothing, but in the publishing business things taking a long time – that’s something you are just going to have to get used to. You can’t expect everything to happen at once. If you follow these rules then, when you ask people for help, they’ll be well-disposed to you and more likely to respond positively. Find a local writer’s group and go along. Go to a local author’s book launch. NB. not a megastar’s launch. Speak to the author, their editor/publisher and their agent. Attend a local spoken word night. Speak to the organiser and the readers. Take a piece to read in case there’s an open mic slot available. See what literature festivals are coming up. Book to go to one of them. If you don’t already have a website, create a simple one. If you do have a website, contact a local writer and interview them for your site. Contact an author you admire (but who isn’t a huge megastar). Do a little something for them first, like a short review on Amazon. Write an email to the author. Ask them for a bit of advice about publishing or your novel. If you’d like to share anything you’ve learnt about how to network, please email me. Otherwise, please feel free to share the article using the buttons below.